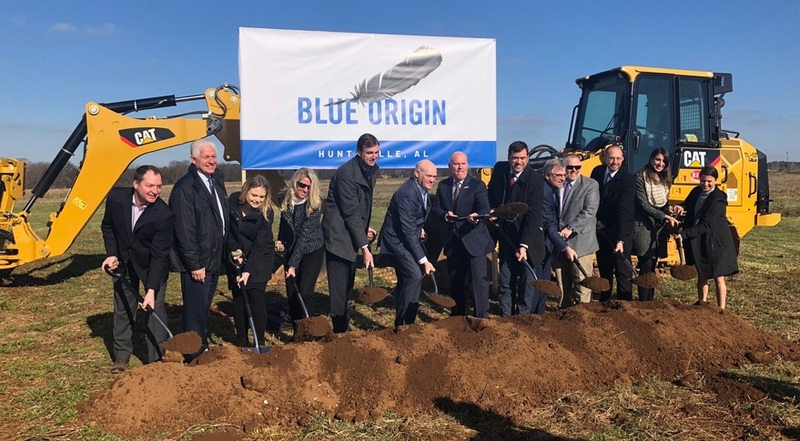 The factory, scheduled for completion in March 2020, will build dozens of BE-4 engines a year for both Vulcan as well as Blue Origin’s own New Glenn vehicle. Both rockets are scheduled to make first launches in 2021. Vulcan will use two BE-4 engines in its first stage while New Glenn’s reusable first stage will be powered by seven BE-4 engines. While Blue Origin builds the factory, it’s continuing to test the BE-4 engine, which uses liquid oxygen and liquefied natural gas propellants and is capable of producing up to 550,000 pounds-force of thrust. The company is building initial versions of the engine at its headquarters in Kent, Washington, and testing them in West Texas, where it also performs test flights of its New Shepard suborbital vehicle. “Through this agreement, we’ll provide for the refurbishment, restoration and modernization of this piece of American history,” Smith said. Blue Origin and NASA Marshall signed a Space Act Agreement in July 2018 to cover “suitability analysis and preliminary facility preparations” for potential use of the test stand for engine testing by the company. Attending the groundbreaking event with Smith were members of Congress as well as state and local officials, all of whom praised Blue Origin for deciding to locate its factory in Huntsville, known as the “Rocket City” given the long history of rocket development work at Marshall and Redstone Arsenal. “Blue Origin and United Launch Alliance represent what we’re all about in Alabama,” said Alabama Gov. Kay Ivey.